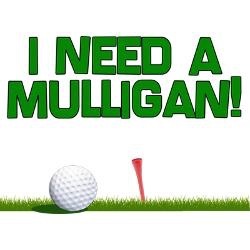 In today’s Monday Mulligan we will take a look at how it is possible to move past bad shots and get back to hitting good ones. Perseverance is a big key. 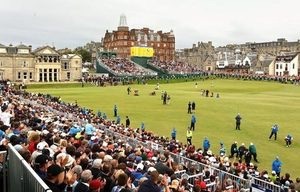 Yesterday’s final round of The Open Championship was an absolutely amazing display of many aspects of this game we love. It was a classic, in it’s own way every bit as good as last year’s epic battle between Henrik Stenson and Phil Mickelson. It was filled with highs and lows, patience and excitement, classy behavior and good manners. Wow! This final round was all about 2 battles: one between Jordan Spieth and Matt Kuchar and one between Jordan Spieth and himself. Oh, and Jordan won them both! Mom and Dad, this is why we have TiVo! So much happened during these 18 holes, there is not nearly enough time or words to address everything. My best advice is if you have a recording of the final round, make sure you and your junior golfer watch it. This is a ton of life lesson stuff and it is filled with so many highs and lows let’s get started. Your whole family will find this video to be very inspirational, enjoy! Jordan and Matt were in the final pairing and Jordan hit a really good-looking tee shot on #1 and Jordan was smiling and feeling good about the shot. Unknown to him, his ball ended up in some very long grass about 3 feet shy of the shorter grass. When he got to his ball, his demeanor changed. He was not happy. Jordan bogied 3 of the 1st 4 holes. He seemed to lose his confidence and missed short putts that he usually makes. Tee shots were errant and the neck-and-neck battle between these 2 guys took at turn in Matt’s favor when Jordan blew his tee shot on the 13th hole nearly 100 yards to the right of the fairway. It took more than 20 minutes before Jordan played his 2nd shot and he managed to get off of #13 with just a bogey. Something changed during that time span. Jordan played holes 14 through 17 in 5-under par, making 70 feet of putts on 14, 15 and 16 alone. His attitude was completely different. A par on 18 gave him a 3-stroke victory over Kuchar. How did Jordan change his demeanor? Folks, he’s done this before. He kept his eye on the prize, persevering through those rough initial 13 holes. Somewhere on that huge sand dune on 13, he “shook”. With all due respect, that’s a term we use in our house when an attitude changes. It’s what dogs do when they change their mind, they “shake.” And whatever it was that Jordan found within himself to change from the erratic, not very confident player he was through his tee shot on 13, he became an absolute beast on those last 5 holes. It was a complete turnaround and Matt Kuchar played a decent round of golf but Jordan ran right past him starting on hole 14. Persevere, persevere and persevere some more! 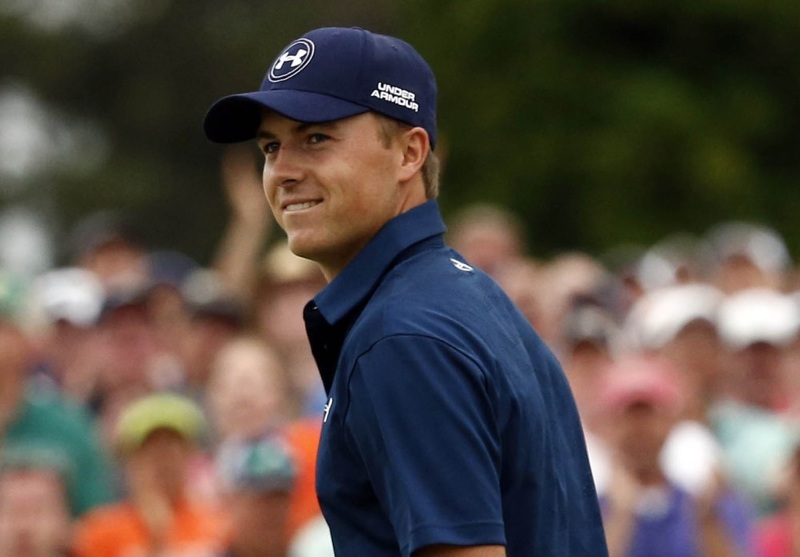 Congratulations to Champion Golfer Of The Year, Jordan Spieth. And congratulations also to Matt Kuchar for playing some excellent golf and showing genuine class while he waited 20 minutes for Jordan’s ruling, drop and 2nd shot on 13. A fine man! Junior Golf: It’s Open Championship Week-Get Excited! In this week’s Monday Mulligan there is so much history, so little time! It’s my favorite golf week of the year, the week of The Open Championship-formerly called The British Open, the 3rd men’s major championship of 2017. This Thursday will mark the start of the 146th Open Championship. There is not enough time to get into the history of golf’s oldest championship. Here’s a taste of what will get you fired up! Arnold Palmer’s Dad told him that if he was going to be a great golfer, he had to be great all over the world. In those days it mostly meant playing in The British Open. He did for the 1st time in 1960, coming in 2nd and won the next 2 years. Jack Nicklaus joined him and more Americans followed, elevating the quality of play because at that time, with a few notable exceptions, the Americans were the best golfers in the world. Now all the world’s greatest golfers want to be in this field. Let’s get to it. One of the most important things this week involves freeing up space on your TiVo because there is a ton of hours to record. Next make sure you have The Golf Channel on your TV package because ALL The Open Championship coverage is on it, Directv Channel 218. Now be sure to record Live At The Open because you will learn more interesting golf stories and history and tips this week than in any other week of the year. There must be at least 50 hours of LATO. Now record the tournament coverage. 1st round coverage begins at 12:30am, central time, this Thursday, July 20. Same start time for Friday. Saturday and Sunday play airs on The Golf Channel starting at 3:00am, central time. And, as always, record at least 1 extra hour past Sunday’s scheduled ending time, in case of a playoff. Be advised, minimize your access to social media. There is always someone posting the latest scores, leaders and great moments as soon as they occur. If you would prefer to find out theses things on your own you’ll need to take precautionary measures to protect your exposure to updates. When you wake up Sunday morning, in the U.S., at least, there will be a new Champion Golfer Of The Year. If you want to learn who it is on your own, stay away from social media. Get ready for an amazing week! What are “major championships”? Well, they are rare since there are only 4 men’s majors in a year. They are prestigious as each major has its own strict qualifications to be able to enter. You don’t just go sign up. 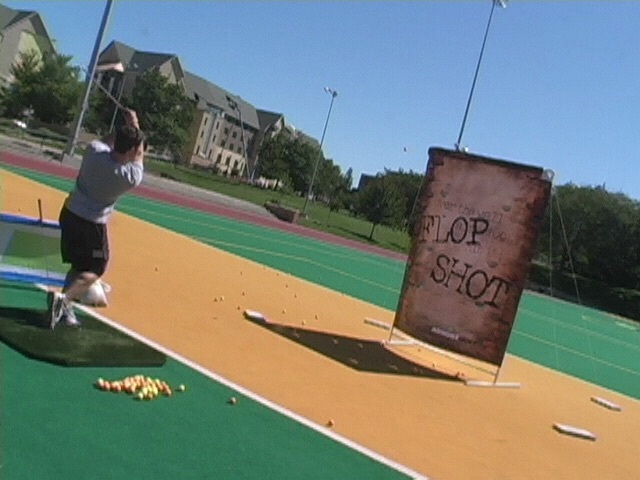 They are also prestigious because every course is set up to be a rigid test of a professional golfer’s skills. So the courses are tough. They are prestigious because they have a mental pressure far greater than a regular PGA tour stop. They are difficult to finish out to win because frankly the thought of being in a position to win a major can blow a player’s mind. So they are 1 of the ultimate mental tests. And of course winning a major puts a golfer into the extremely rare air of a very elite status. Winning majors and how many a golfer has won is how the greatest golfers are measured. And a professional golfer with no majors won will find it difficult, if not impossible to get into the World Golf Hall of Fame, in fact it may be that 2 major victories are now required to be considered for induction. The 2nd major each year is The U S Open, to be played this year at Oakmont Country Club in Oakmont, Pennsylvania near Pittsburg, June 13-19. The US Open is also commonly called the US National Championship since amateurs as well as pros can qualify to enter. It changes courses every year but a number of sites have hosted more than 1 US Open. This is another tough event folks as testified by Oakmont Country Club regarded as perhaps the most difficult golf course in America is hosting its record 9th US Open. Now that’s impressive and it shows you the USGA, who runs the US Open, isn’t kidding around when it crowns a national champion! The 3rd major of the year is The Open Championship, formerly called The British Open. 14 different courses have hosted this event. This year the 145th version of The Open Championship will be played at Royal Troon on the rugged awe-inspiring coastline of the West of Scotland, July 10-17. And since Scotland is the birthplace of golf, winning The Open Championship has a prestige and historical significance all it’s own. Also, the winner is called The Champion Golfer of The Year, which sounds really cool! The 4th and final major is the PGA Championship which this year will be held at Baltusrol Golf Club in Springfield, New Jersey, July 25-31. Since the PGA Championship’s inception in 1916, Baltusrol is 1 of the very few courses to host this event more than once. This tournament is unique in that only PGA professionals are eligible to enter. And there are entry slots available for PGA pros who are not on the tour. No amateurs. It is learning how to win and how to lose with grace. Often we tell our kids that although losing can be painful and very tough, it is important to be decent and polite, even though you did not take 1st place. While being a good loser is frowned upon by some and they think everyone who ends up in 2nd place or lower should be mad or disrespect the winner. We disagree. There is losing, where your child makes unforced errors and ends up being out of the running. And there is plain old just getting beat, where someone makes better shots and has a lower score. The response although difficult should be the same. Congratulate the winner and move on. This is not the last round of golf to be played. And whether your youngster lost or got beat, depending on her age, it may be hard for her to differentiate between the two. Doesn’t really matter as a serious golfer should always be seeking to improve her game. Zach Johnson won The Open Championship with humility and grace. He played better than everyone else. His emotional press conference was a classic in how to gracefully and respectfully respond to winning a huge event. He gave God praise and thanks for his talent, he said the win would not define him, but his family and kids would. A class act, congratulations Zach! S3 is 4 and 1 in playoffs and the 1 defeat is from his opponent making a birdie on the 1st playoff hole. S3 was disappointed, but played well enough to make the playoff and he just got beat, period. So he sincerely congratulated the winner, accepted the 2nd place trophy and then we went home. A decent day really. Golf tournaments at any level are hard to win so when your junior golfer is seriously contending with a few holes left, they really want to win. Different kinds of pressure show up in these instances and can make those last few holes very challenging. And winning is more fun than losing, but she needs to respond properly in either case. Remind her that she will have many more golf tournaments and encourage her to keep improving her skills. Please, I hope you recorded some of the play, which has taken 5 days to get to the last round. Your child can easily be captivated by the stunning scenery, challenging weather conditions and special atmosphere. And the British fans have a respect for the game of golf that is second to none. Wind and rain delays are the reasons the golfers are playing today. Yesterday saw almost no wind, leading the announcers to say they had never seen the winds so calm at any Open Championship. So the challenge of high winds, rain and chilly conditions make for an interesting opportunity for any golfer who wants to test his skills. Legendary golfer, Davis Love III was asked what the most layers of clothes were that he had worn during a golf tournament and his answer was “That’s easy, 5-layers at The Open Championship in the 1980’s”. 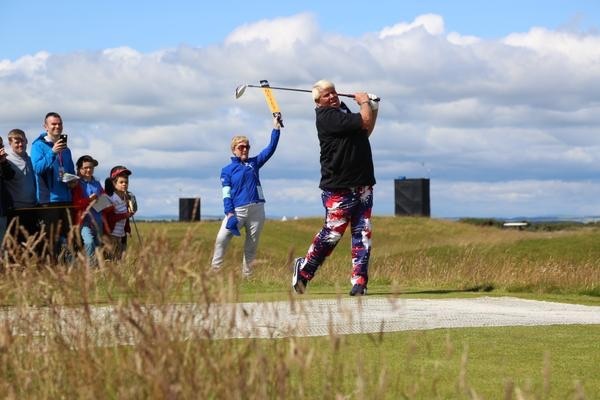 As former Open Champion John Daly said at this Open Championship, “I can handle the wind or the rain, but please don’t give me both.” The atmosphere is totally unique. During S3’s fall golf season in his sophomore year in high school it seemed like every tournament was 45-degrees and blowing rain. Nobody’s rain gear was good enough. Every player and spectator was soaked to some degree. Those that didn’t have the wet weather gloves could hardly hold onto their clubs. It was tough. But you know what, every tournament had a winner and we all did it again the next week. It certainly helps you appreciate more decent weather conditions. There is an Open Championship every July, so if you missed this one, plan ahead to record the 2016 event. Your kiddo will love watching it! It’s a big stage!